When it comes time to record, Cyrus Chestnut has never been inclined to stay in his lane. The widely acclaimed jazz pianist, who once devoted an entire album to Elvis Presley’s legacy, has always had a healthy disregard for genre borders and biases. So it’s not surprising to find him charting his own curious course on There’s a Sweet, Sweet Spirit, with the help of three likeminded collaborators: bassist Buster Williams, drummer Lenny White and vibraphonist Steve Nelson. 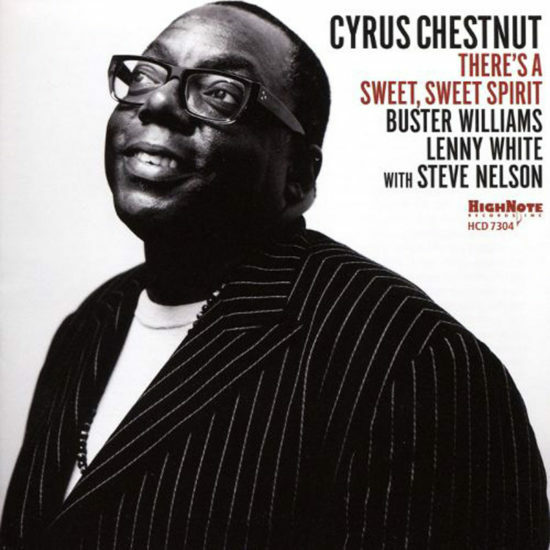 Preview, buy or download songs from the album There’s a Sweet, Sweet Spirit by Cyrus Chestnut on iTunes.